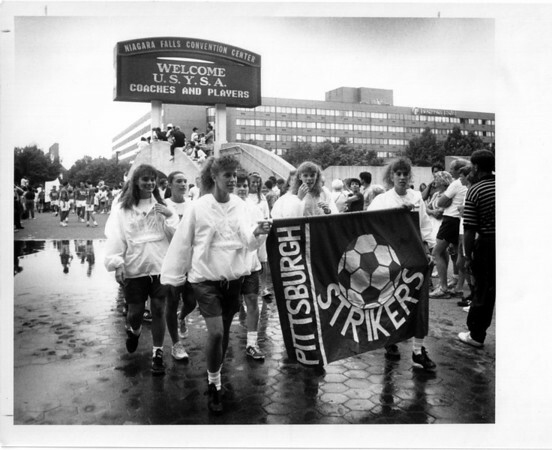 Lady soccer players , from Pittsburgh, Penn. carry their banner and parade past thousands of people at E. Dent Lackey Plaza. Photo - By Elisa Olderman - 6/29/1990.